If you’re reading this article, it’s safe to assume that you know a lot about your business. In fact, you probably know much more about your products, customers, and the ins and outs of what it is your company does than anyone outside your organization. Yet in spite of how much you know about your business, you may not know enough about the entire Enterprise Resource Planning (ERP) systems supporting it to use your existing Microsoft Dynamics Solution to its full potential. And what you don’t know could cost – or save – you LOTS of time and money. With over two decades of experience focused on the ERP needs and requirements of organizations in a wide variety of industries, InterDyn – Remington Consulting has a unique insight into business processes. One of the tools we use to leverage that insight is the Business Productivity Assessment, or BPA, a service offering that helps organizations streamline their processes and to get the greatest possible return on their existing Microsoft Dynamics ERP investment. We’ll help identify business processes related to critical business issues and goals, as well as key team members within your organization, and we’ll work with your Executive Team to schedule interviews with these individuals. Again, working with your Executive Team, we’ll outline your organization’s vision for addressing these critical business issues, and we’ll map out a strategy for addressing them. 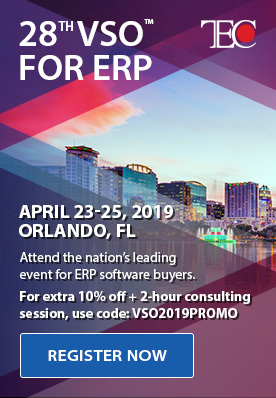 Drawing on our extensive experience with ERP systems, we’ll explore critical business issues that your organization may not be aware of but which, if addressed effectively, could greatly benefit your organization. During interviews with key team members from your organization, our BPA process will model the agreed-upon critical business processes, identifying departments, individuals’ roles, and the inter-relationships between all teams within your organization. Once we’ve learned as much as possible about your organization’s goals and operations, we will align your business goals with existing and new software functionality, process re-engineering, and Best Practices Coaching, and we’ll work with your team to develop a high-level implementation project schedule. 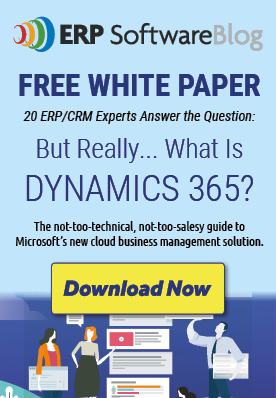 Identification of Microsoft Dynamics software already owned by your organization, but is not being fully utilized. Identify how you could benefit from additional functionality or users. We’ll include recommendations for additional software, already owned or, in rare cases, software that is not, and we’ll describe what will be required to implement our recommendations. Our experienced team of consultants will also validate business processes; data, document and paper flow; and financial and operational reporting or business intelligence to identify any areas of efficiency that can be gained. InterDyn – Remington Consulting’s Business Productivity Assessment has helped many of our customers identify and achieve their full business potential with only a minimal investment of resources on their organizations’ part. If you’d like to learn more about this valuable service offering or to schedule a consultation about it, please contact Kristina Vatne, InterDyn – Remington Consulting’s Client Services Specialist (email: [email protected] / phone: 503.222.4600 x303). Thanks for sharing this informative blog about Software and Productivity. It is very nice blog. Hey, this magnificently makes sense in terms of the productivity. Prior to this post I was thinking that the time management only helps gain productivity and nothing else can be of that high importance in the process. Where as similar post which mentions the improvement of productivity, I came across is here of – http://www.replicon.com/blog/how-byod-policies-can-help-cut-time-tracking-costs-and-improve-productivity .